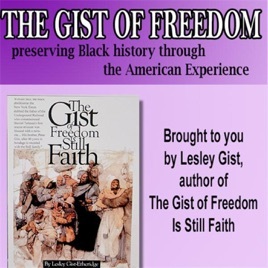 Anti N-Word Advocate, Garrett Fortner Filed A Complaint With The FCC The Gist of Freedom Preserving American History through Black Literature . . . Hundreds of Authors who survived slavery, penned books, newspapers, pamphlets and speeches without using the N-Word, yet today the word is unavoidable! Garrett Fortner III, the Brooklyn Grassroot Publisher and founder of New Word Media has had enough and he's doing something about it! He filed a complaint with the Federal Communication Commission. Dave Chappelle's Great Grandfather, Rev. Wilson David Chappelle survived slavery, became the President of a HBCU and wrote about it in his book! A BRIEF SKETCH OF THE LIFE AND CAREER OF THE RIGHT REV. WILLIAM DAVID CHAPPELLE A.M., D.D., LL.D. Some of His Addresses and Sermons. Dave Chappelle supports HBCU,His great-grandfather, Bishop WM. David Chappelle, was a president at Allen University in Columbia, S.C.